Australia's Number 1 Solar Panel! Founded in 1997, and listed on the New York Stock Exchange in 2006, Trina Solar specialises in the manufacture of crystalline silicon photovoltaic modules and system integration. 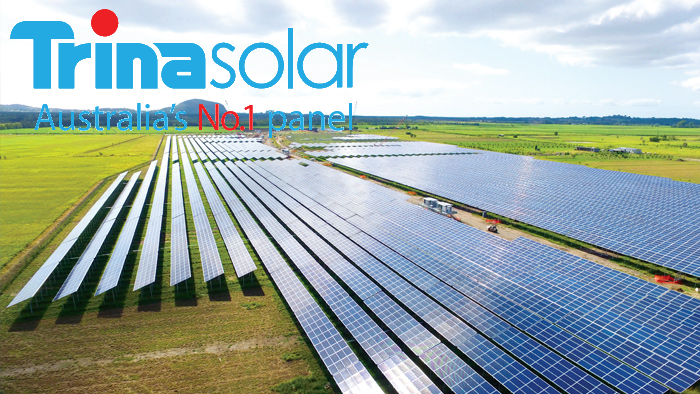 With almost 7.5GW’s of modules shipped worldwide and some of the best quality testing results – Trina solar panels are definitely up there with the best of them. Trina Solar is committed to providing smarter energy solutions. Our dedication to producing top quality, high performance products is reflected in our world-record setting technologies and corroborated by exhaustive third party testing. As a vertically integrated company, Trina tightly controls quality at every step from silicon crystallization to module deployment in the field. They go above and beyond with 30 quality tests and a state of the art research and development lab. Trina have also partnered up with key certification labs in order to continue improving their standards.